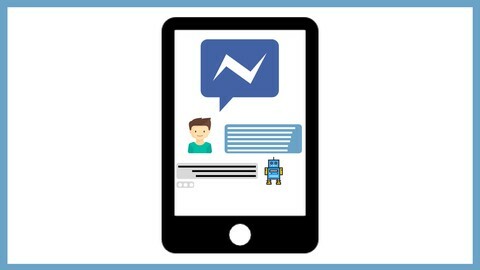 Facebook Messenger Chatbots are the perfect tool for growing your email subscriber list with a Lead Magnet. In this video, I will show you how to accomplish that with MobileMonkey and a few other tools. My lead magnet happens to be a Udemy course I created and is about one of the tools I use in the video. 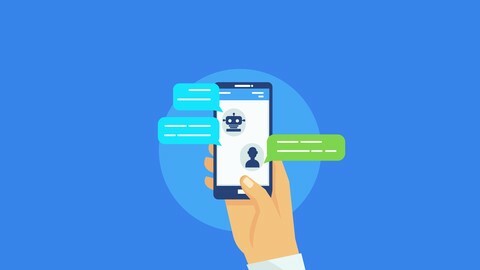 I created the Lead Generation Bot with MobileMonkey so I could share the bot to others looking for a solution and short on time. I first built the bot which asks for permission to subscribe them to the Chatbot and to my email list. In exchange for their email address, I send them a coupon for my popular ConvertKit Course on Udemy. Then I connect my MobileMonkey Chatbots to Zapier and then send the subscriber data from Zapier to my email app ConvertKit. In this video, I’ll show you how you would accomplish this. See the Lead Generation Bot in action! Fair warning, you will need to subscribe to the MobileMonkey Pro Plan to get connectivity between MobileMonkey and Zapier. Right now as of this posting you can get the Pro Plan for just $9 a month for 3 months. Then it goes to its normal price of $49 a month. Zapier is free up to 100 Zaps each month and you can pretty much use any email application like MailChimp, Aweber, Constant Contact and more. I use ConvertKit and use it in this demo so if you don’t have an email app I highly recommend you give ConvertKit a try! Make sure you sign up for my Free ConvertKit Course (Sign Up via the Lead Generation Bot) and then get the ConvertKit 30-Day Trial. 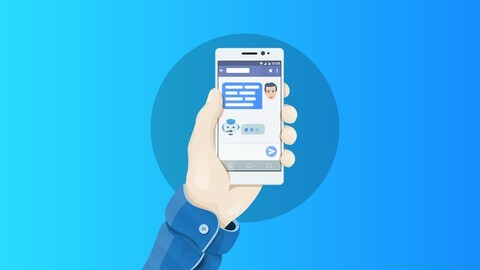 Need help with a MobileMonkey Chatbot for your business? Have a question? Leave them in the comments below and I’ll be happy to answer. In this post I’m going to show you how I am using Chatfuel, along with Zapier and Convertkit to grow followers for my next Udemy Life book using the Get Udemy Life Chatbot I created. I’ve written 2 books over the last several years and teach 11 Courses on Udemy with plans to release more courses and books. Building your following is an effective way to sell more courses and books or grow any business. When I wrote my first book “Promote Your Business or Cause Using Social Media – A Beginner’s Handbook” I used self-publishing with Amazon Kindle and Createspace. I love publishing books this way because it works well for someone like me because it doesn’t cost a fortune. However since Amazon is selling your book you have no access to information on who purchased your book, therefore making it difficult to market future books. This is why you have to be creative with your online marketing with tools like WordPress and plugins. Here’s a landing page I created using WordPress a few years ago to promote my 1st book. 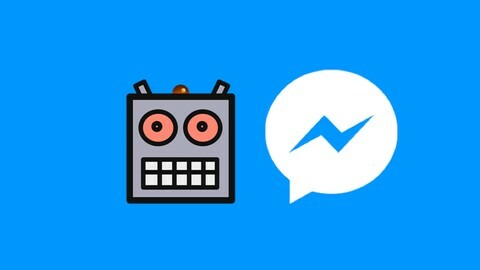 I’m going to show you how you can capture information with Facebook Messenger Chat Bots using affordable tools like Chatfuel, Zapier and ConvertKit. I use Chatfuel to build the bots for the businesses I run and to help market my books and courses. The bot below is for my book Udemy Life which I published back in 2016 and features stories about the instructors I know teaching on Udemy. I plan to release a 2nd edition of the book in 2018 so I want to grow my list to target those readers when the new books is launched. I set up Chatfuel to match the sequence I already have built in ConvertKit to help up my email open rates. I’m finding out that I’m getting better open rates with chatbots because most everyone has Facebook Messenger installed on their smartphone or tablet. In the image below you can see that I start with a “Block” which lets me drag and drop the elements of my chatbot. It’s triggered when someone goes to my Facebook page for Udemy Life Book and clicks on “Send Message” or from a post I create on the page. I can also create a link right to the bot Block which will start the process. 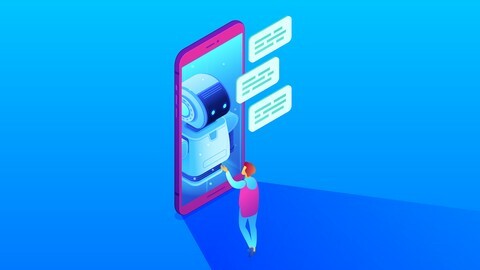 The process starts and is sent to the user via Facebook Messenger and they have the option to leave an email address or Unsubscribe from the chatbot. I tested this by offering a free copy of my book in the Kindle format for a few days on December 18th, 2017 and December 19th, 2017. If you are reading this after those dates you can still get a free PDF copy of the book and I’ll notify you when the 2nd edition is ready. I saw some interesting results just into the first day of the free Kindle version promotion and provide the screenshots below under “The Results“. In the next step I created a ZAP using a tool called Zapier that makes the connection between Chatfuel and ConvertKit which is what I use to maintain my email list. You can make the connection to MailChimp and other email apps but I recommend and use ConvertKit (aff link) which offers a 14-day trial and I teach a course on ConvertKit on Udemy. I want you to take it free but make sure you get the Free 14-day trial from ConvertKit to follow along while you take my course. Plus if you subscribe to ConvertKit I’ll give you some Skype time to help you get started. I created a Webhook which takes the data (first name and email address) submitted to the chatbot and sends it to my email marketing app which again is ConvertKit. I had already created a form to collect first name and email address along with a sequence in ConvertKit before I had set up the bot using Chatfuel and created a sequence to match the sequence I created on ConvertKit. If you aren’t familiar a sequence is just a series of automated messages that go out on the frequency you set. I have my sequence set up to provide helpful information for new instructors and links to my interviews with other instructors that reside on my YouTube channel. I was already using a LeadPages landing page to capture subscribers via my WordPress website. I matched the sequences so I could remind subscribers via Facebook Messenger to check their inbox for new messages. By doing this it helps up your email open rates because millions are using Facebook Messenger on their smartphones. I hadn’t done a promotion with my book on Amazon in while and decided to do one to see what I could do with the bot. I ended up with over 45 new subscribers to my list by the morning of 12/19 and an amazing open rate with both the chatbot and on my 1st email in the ConvertKit sequence. See the images below which are higher than what is average for all industries. The book also was #4 for Free Small Business books on Amazon and #6 for Free Entrepreneur books and 3,023 for all Free Kindle books on Amazon. Which is pretty good considering all the free fiction and nonfiction books now available on Amazon. Get Udemy Life Book – Get the book free on PDF and watch how the sequence works. Need a chatbot to help grow your list for your next book or online course release? Contact us for a quote and we can build you a Social Media Chatbot. Want to know more about how to do this? Leave a comment! I’ll update results in a few weeks once the sequence is complete for those who signed up on 12/18 and 12/19. This website uses affiliate marketing links and might be compensated if you decide to make a purchase. 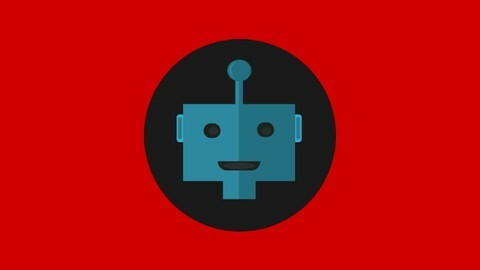 Thank you for visiting SocialMediaChatbots.com!